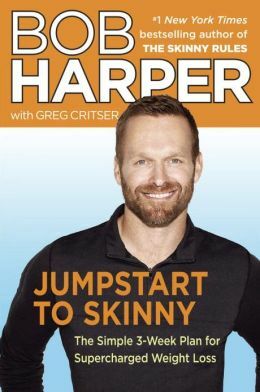 I finished reading Jumpstart to Skinny and started the plan on Wednesday, after doing all the prep work on Tuesday. I can’t say I’ve been successful… I took Thursday off completely since it was the Fourth of July and I went to a barbecue. I definitely cheated quite a bit yesterday. And I haven’t been doing the exercises at all. I really really need to get back into exercising, but it’s so hard when I’m cramping so bad all the time! 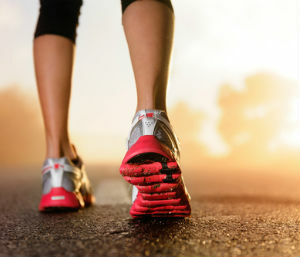 Sometimes light exercise, nothing more strenuous than walking, helps, but most of the time any type of exercise just makes the cramps so much worse! They’ve been especially bad the last few days! 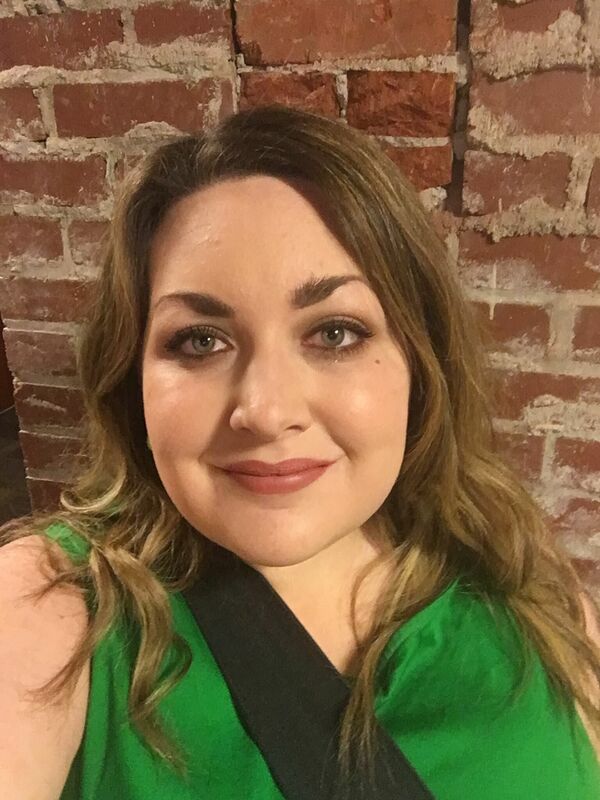 Anyone else with PCOS have any advice for exercising with cramps? I guess I’m just going to have to woman up and work through the pain. As far as Jumpstart to Skinny goes, I really like the plan! First of all, I definitely recommend buying the book. Even if you aren’t going to do the whole plan, it has some really great recipes in it. This really didn’t take very long to do. About two hours, including clean up. I also got familiar with the Jumpstart to Skinny Rules on Tuesday. 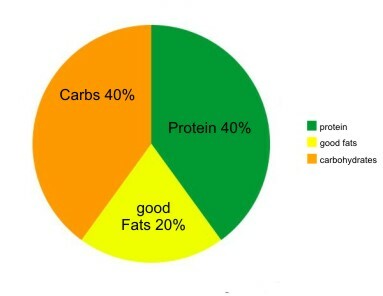 Rule 1: 40/40/20 Make sure every meal is 40% protein, 40% carbs, and 20% fat. Rule 2: 800 calories a day. Bob’s daily meal plans are calculated to be 800 calories a day. I’ve been tracking my food on MyFitnessPal, too, and MyFitnessPal’s calculations are a little bit more than that, between 1,000-1,200 calories a day. So I’m not really sure which on is off, but it’s still a pretty restricted calorie diet. However, portion sizes are HUGE! 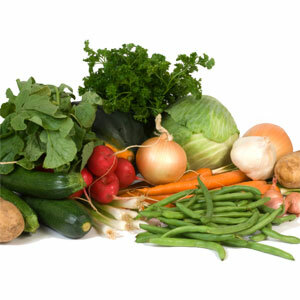 There is no way that you could get hungry on this diet; every meal is enough food for two people, just low calorie food. Rule 3: No complex carbs after breakfast. 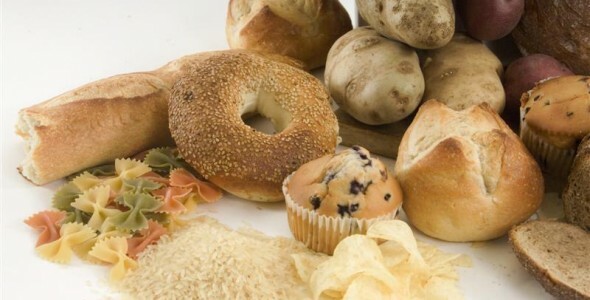 This isn’t a hard rule for me to follow; when I’m eating healthy I don’t eat a lot of complex carbs at all. 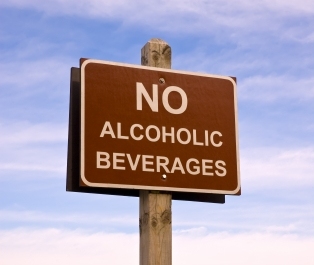 This rule has been harder for me to follow. That’s a lot of water!! I’m working on it though! I hate having to pee every 5 minutes though! I definitely need to find a different method of getting my electrolytes. 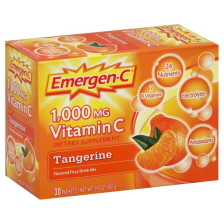 I’ve been trying Emergen-C, but it’s really gross! Maybe the other flavors are better, but I really don’t like the tangerine. It has a terrible aftertaste! Any suggestions? Rule 6: 45 minutes of low intensity cardio before breakfast. As I said earlier, because of my severe cramping right now, exercise has been difficult. I like this idea though. I’m NOT a morning person, but exercise always makes me feel better and really wakes me up for the day, so if I can manage to force myself out of bed to do it, I love it. I think this would be a great time for me to do my Couch to 5K, or even just walk my dog if I’m not feeling up to running. Rule 7: 5 days a week, do 20 minutes of Jumpstart moves. The Jumpstart moves are Metcon exercises and aren’t super difficult. I’m just going to have to force myself to work through the pain and do them! I am definitely a salt person, so I assumed that this rule was going to be pretty difficult for me. It really hasn’t been that tough though. Most of Bob’s recipes taste pretty great without salt. I’ve only been tempted to add salt a couple times and I resisted. And the food was still good! I hate taking pills. And fish oil, yuck. It’s also pretty hard to find a multivitamin with more that 1000 mg of calcium! I couldn’t find one, so I just got the one with the most calcium. 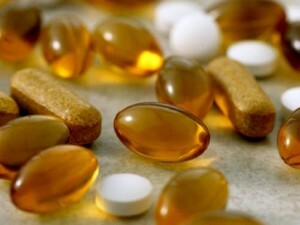 I take the multivitamin after breakfast and the fish oil after each meal. 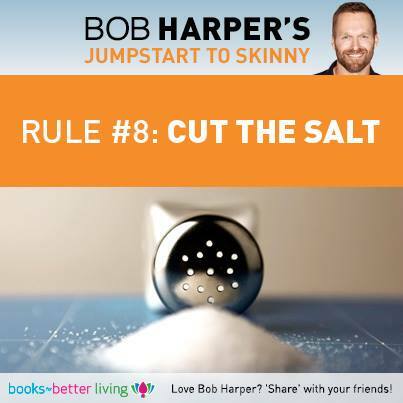 If you are following Bob’s meal plans this is super easy! There are a ton of greens in every meal! Rule 11: No fruit in Week 3. I haven’t made it to Week 3 yet, so I don’t know if this rule is going to be hard. I LOVE espresso. This rule isn’t easy for me though, because I don’t have a coffee pot. (My hubby hates the smell of coffee, and I don’t usually get up early enough to wait for it to brew, cool, and sit and drink it.) I bought some instant coffee packets, but so far I’ve had to force myself to drink them. They aren’t very good. So those are the rules. Pretty easy to follow, I think. But I thrive with rules. Rules and meal plans make dieting so much easier for me. I start to screw up when I give myself too much flexibility. Wake up. 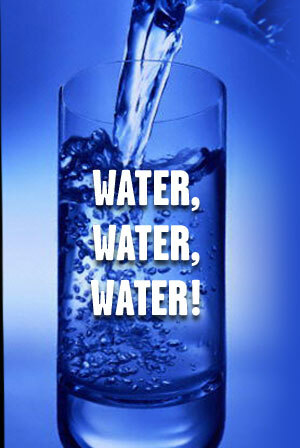 Drink 16 ounces of water. Drink 1 espresso. Do 45 minutes of low intensity cardio. Drink an 8 ounce electrolyte drink. Have breakfast with 16 ounces of water. After breakfast take 1000mg of fish oil, multivitamin, and drink another 8 ounce electrolyte drink. 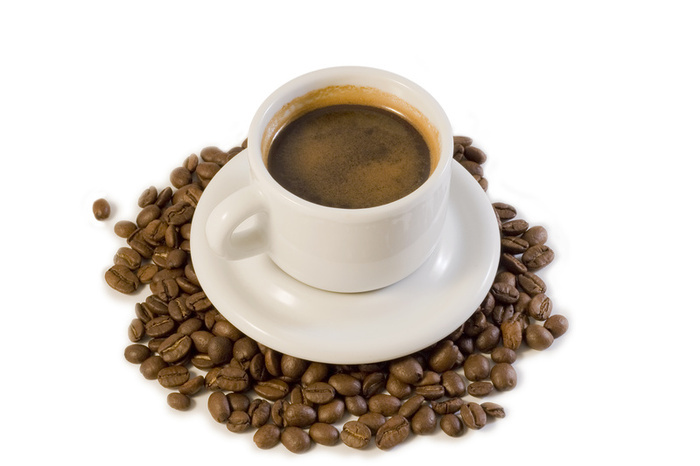 Eat lunch with espresso or tea and 16 ounces of water. After lunch take another 1000mg of fish oil. Have dinner with 16 ounces of soda water. Take another 1000 mg of fish oil after dinner. If it’s one of your Metcon days, do 20 minutes of exercise. Not too hard of a schedule to follow. One thing I love about this plan is that there are no snacks! I never have time for snacks. Breakfast: Quinoa Rancheros (5 egg whites scrambled with 3 cups of spinach, 1/2 a cup of pico de gallo, 1/3 cup of quinoa, and 1/4 of an avocado) It was a ton of food! Really good, too. Lunch: Roasted Mixed Vegetable and Chicken Salad (1/3 of the roasted mixed veggies that I prepped on Tuesday, 4 ounces of the roasted chicken that I prepped on Tuesday, 1/2 green apple, 4 cups mixed greens, and a dressing made with lemon juice, Dijon mustard, olive oil, balsamic vinegar, and red pepper.) It was also a ton of food! Dinner: Mexican Fiesta Fish (2 cups of collard greens, 1.5 cups of chopped broccoli, 1/4 of a onion, 4 ounces of tilapia, 1 cup of pico de gallo, and crushed garlic) The recipe actually called for halibut, but I had tilapia already, so I used it instead. It also called for swiss chard instead of collard greens, but the swiss chard at my grocery store was pretty wilted looking, so I didn’t buy it. This was also a ton of food! It was great though! Breakfast: Quinoatmeal with Eggs (1/2 cup quinoa mixed with 1/2 a cup of almond milk to make “quinoatmeal” topped with 3/4 cup blueberries and 1 tablespoon ground flaxseed. Served with 5 scrambled egg whites with black pepper.) I loved this! The “quinoatmeal” was delicious! Lunch: Chicken and Celery Salad (1 cup celery, 4 ounces roasted chicken, 1 tablespoon grated Parmesan cheese, 1 green apple, 2 cups spinach, 1/2 teaspoon olive oil, lemon juice, black pepper) I added some Dijon mustard to this to hold it together a little. It was amazing! Enough food for about three people, but amazing! Dinner: Roasted Mixed Veggies with Turkey Patty (4 ounce ground turkey mixed with garlic and herbs (I used cilantro) with 1/3 of the roasted veggies prepped on Tuesday, 4 cups wilted spinach, and 1/4 avocado) I really liked this meal, too. Breakfast: Pizza toast (1 slice whole wheat bread, 4 ounces sliced turkey (I used turkey bacon), 1/4 cup Bob’s marinara, 2 cups wilted spinach, 1/2 broccoli, 1 tablespoon grated Parmesan cheese). I didn’t care for this recipe much. The bread was soggy. It was edible, but I don’t know if I will repeat this recipe. Lunch: Watermelon Cucumber Salad with Salmon (4 ounces cooked salmon, 4 cups arugula, 1 cup cubed watermelon, 2 diced cucumbers, 3 cups spinach, black pepper, lime juice) This is my lunch today. I haven’t had it yet. I think I’m going to add some red onion and balsamic vinegar though. So I don’t know if I’ve lost any weight yet; I weigh in tomorrow, but I’m not expecting much. Not only am I bloating like crazy and not exercising, but I’ve cheated quite a bit. Oh well, I’m sticking to it and getting better and better every day! 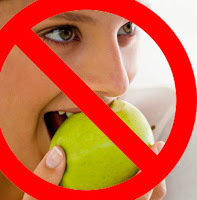 I’ve got to stop using PCOS and feeling like crap as an excuse to not exercise and to cheat. I don’t care if I’m cramping and emotional and frustrated, put that cupcake down! Good luck on your journey there!